Search Results for "night sky loop"
Night Sky 008: A star field twinkles in a night sky (Loop). Night Sky 005: A star field twinkles in a night sky (Loop). 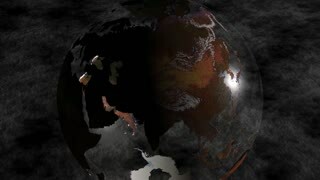 Global 0507: A clear earth globe rotates in front of a dark clouded night sky (Loop). Startrails Over Snowy Mountains Backdrop Seamless Loopable, Starry night sky loop of the swiss alps. Beautiful winter landscape and comet style star time lapse. Comet style stars over snow covered mountains background seamless loopable. Starry night sky loop of the swiss alps mountain ridge. Beautiful winter landscape and short comet style star time lapse. 12. Gorgeous multi-colored fireworks display on black night sky Seamless Loop Background for birthday, anniversary, celebration, Holiday, new year, Party, event and celebrations, Invitation. Night Sky 003: A night sky with a twinkling star field (Loop). Horoscope. Zodiac signs replace each other in the night sky. Animation seamless loop. Constellations images of Hevelius engraving from the 17th century. Night Sky 007: A night sky with a twinkling star field showing the Gemini Constellation (Loop). ride through a cartoon highway seamless loop. 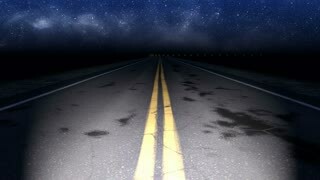 Animated road at night with starry sky and big moon with space for your object, text or logo Seamlessly loop. Colorful cartoon nature background. The Heavens 0404: A shooting star travels across the night sky in Joshua Tree National Park, California (Loop). Fantasy flight through VJ 80's pyramidal scene with meteors and night starry sky. 4K UltraHD motion graphic loop animation. Fantasy flight through VJ 80's meshy scene with giant head and night starry sky. 4K UltraHD motion graphic loop animation.